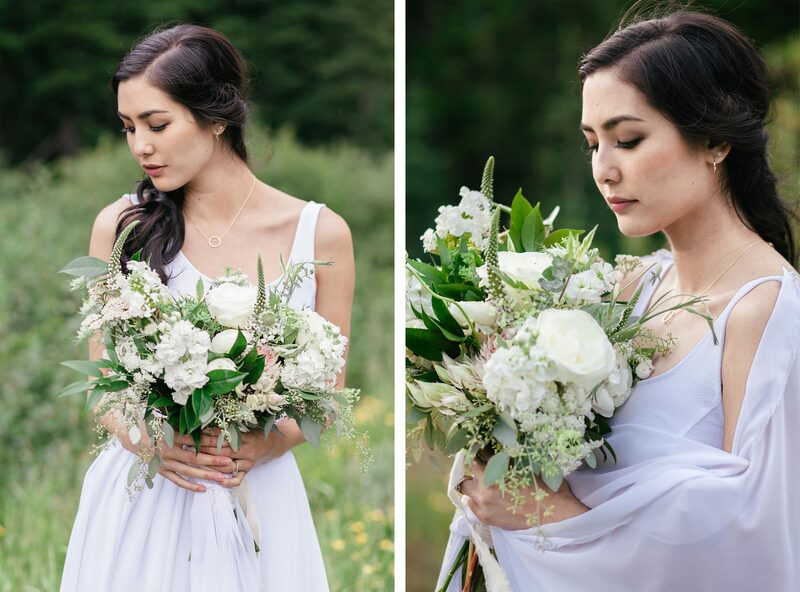 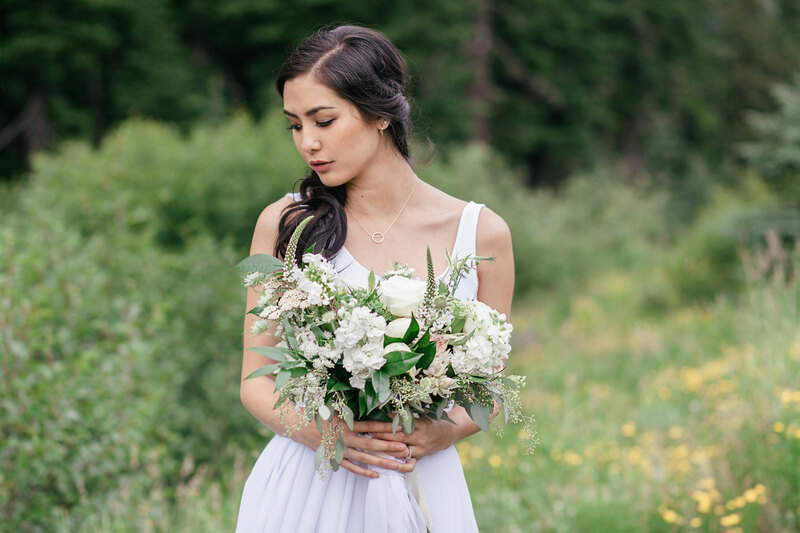 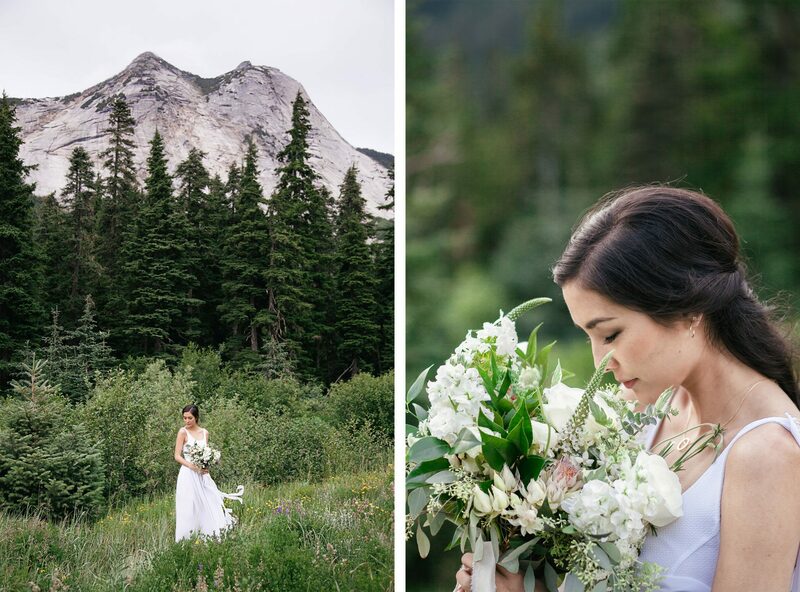 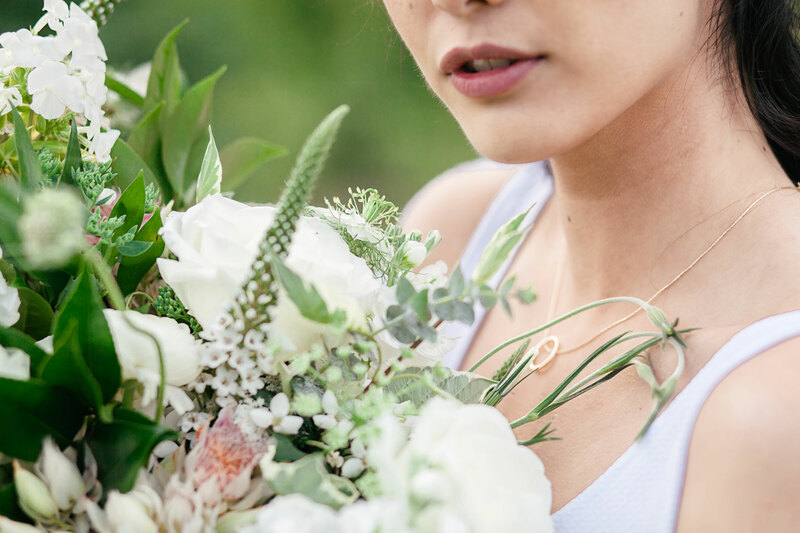 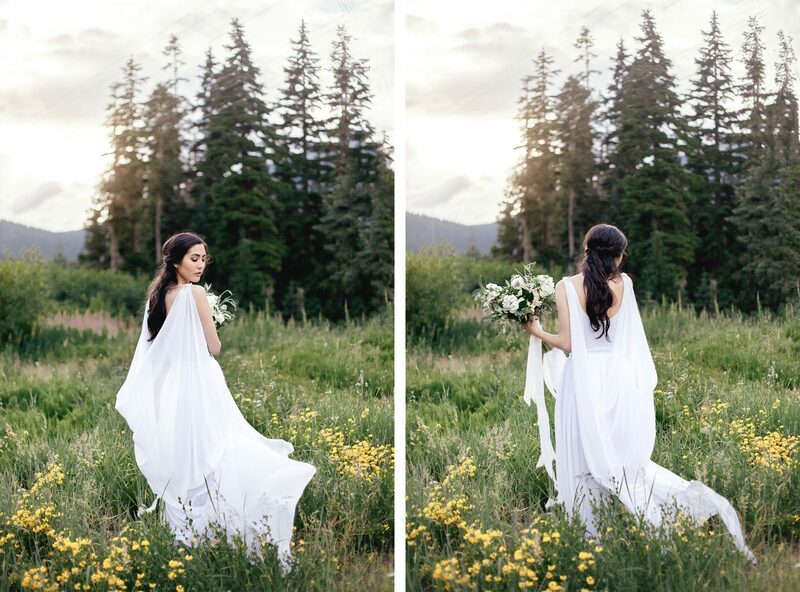 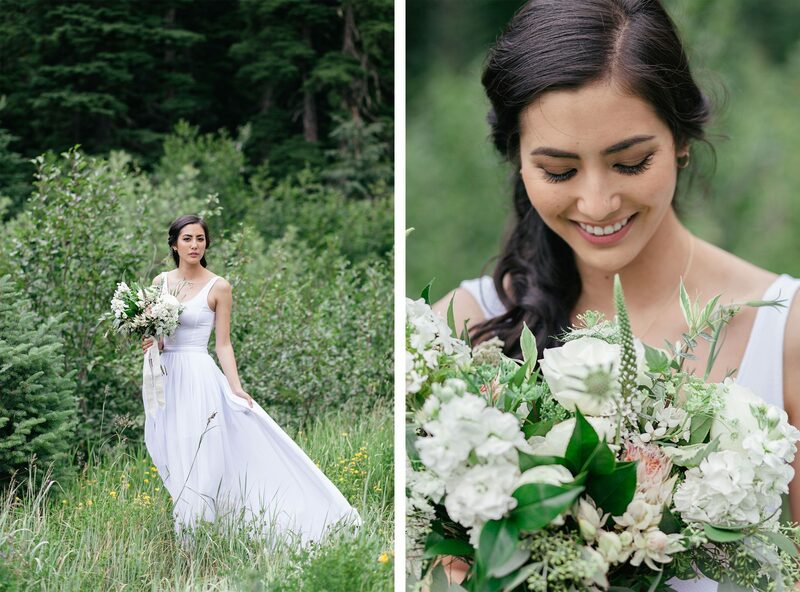 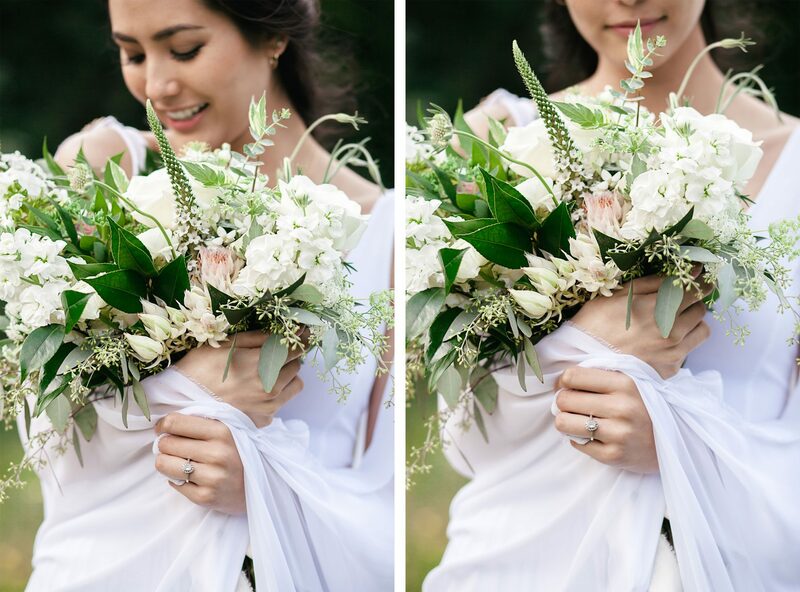 With a stunning floral bouquet and a breathtaking backdrop in the Cascade Mountains, these images have us dreaming of summer days. 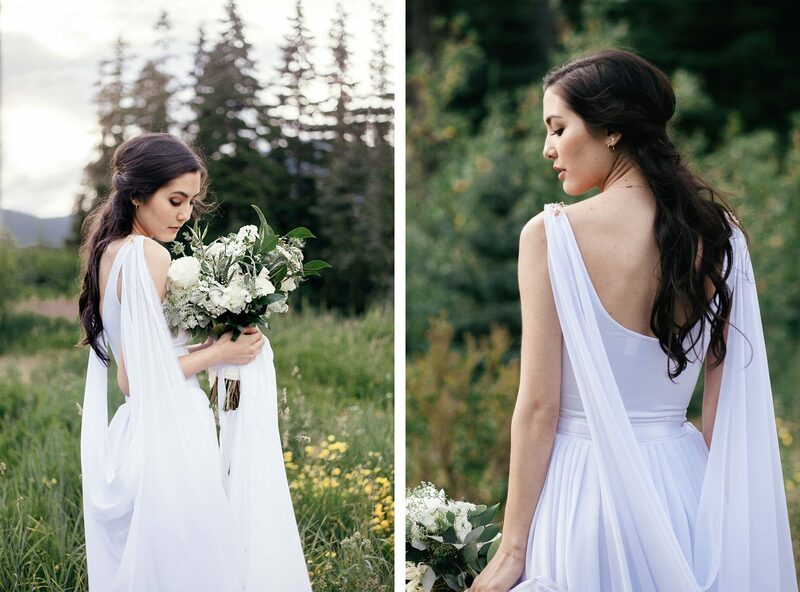 This shoot took place at the summit of Zopkios just outside Vancouver via the Coquihalla Highway. 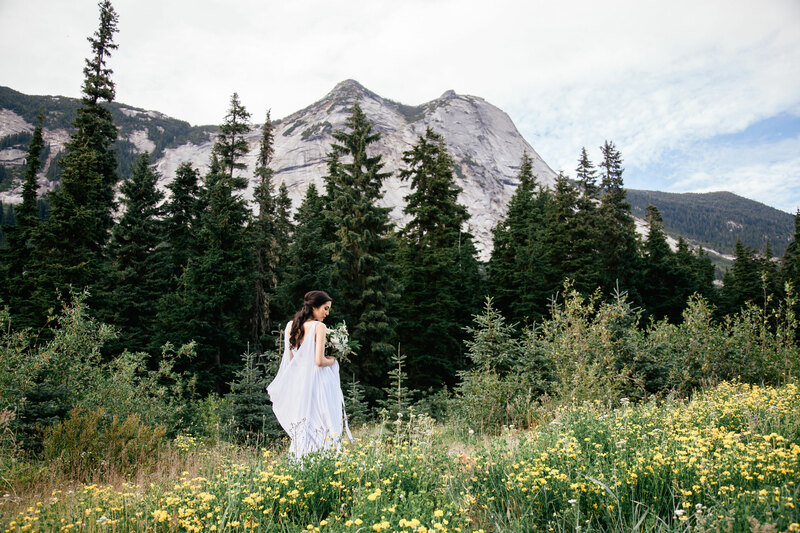 The area has a distinctive ridgeline that appears as if Mother Earth sliced through the rock revealing the granite slab leading up to the top. 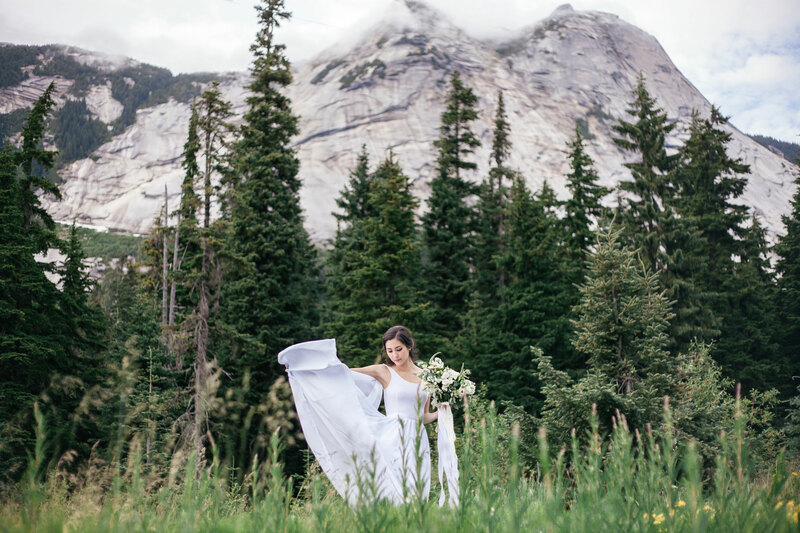 Although the original shoot location was relocated last-minute due to a grazing mama grizzly and her cub, the style team found a nearby wildflower meadow free of local wildlife. 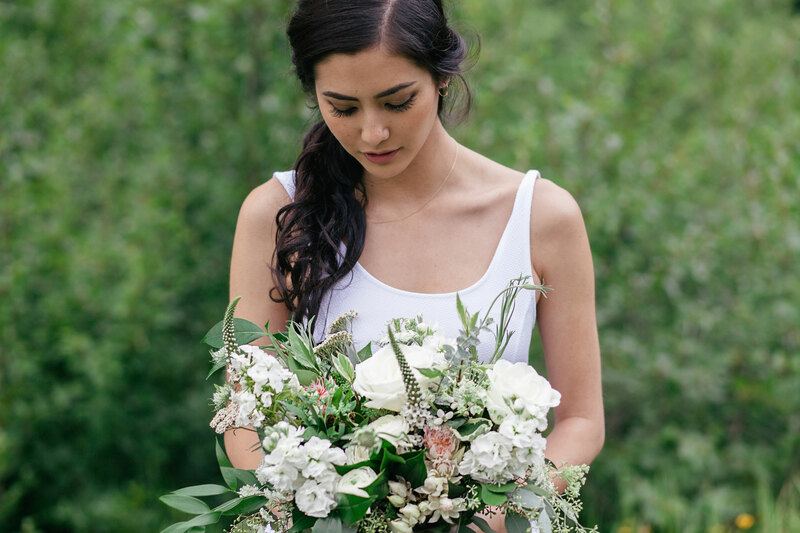 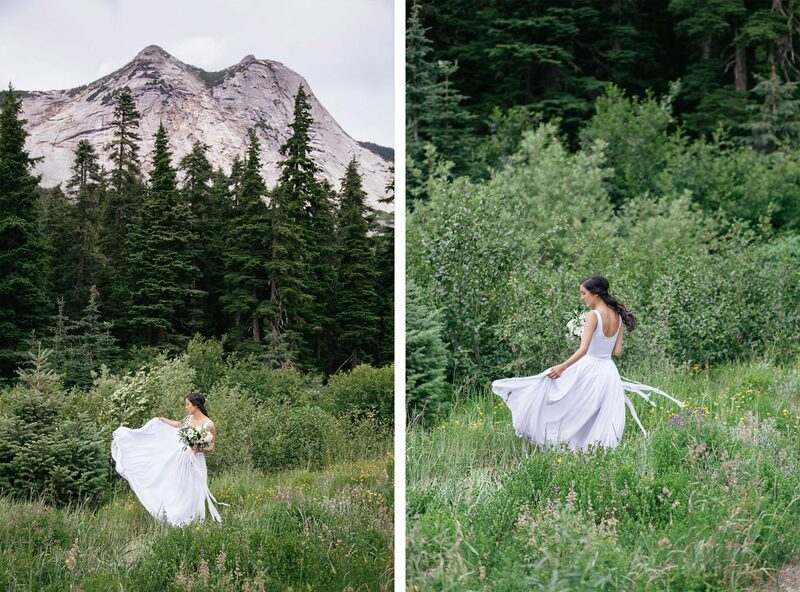 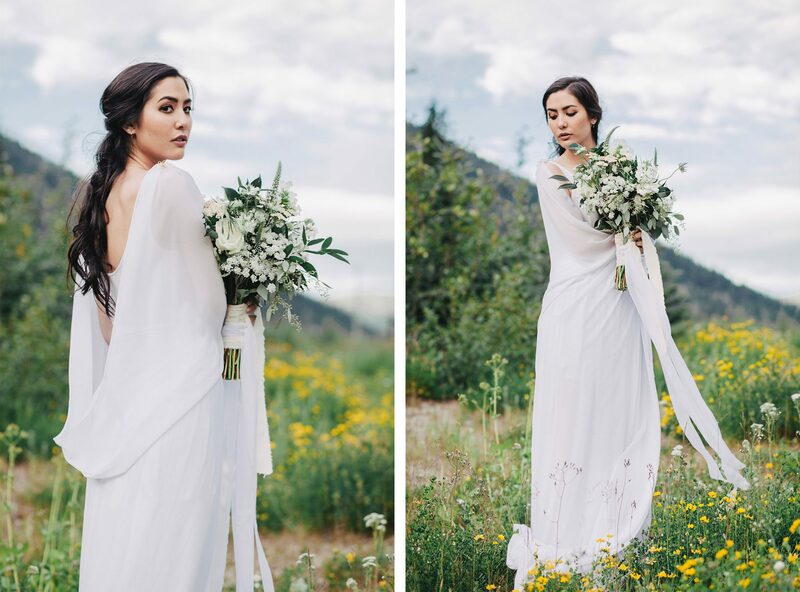 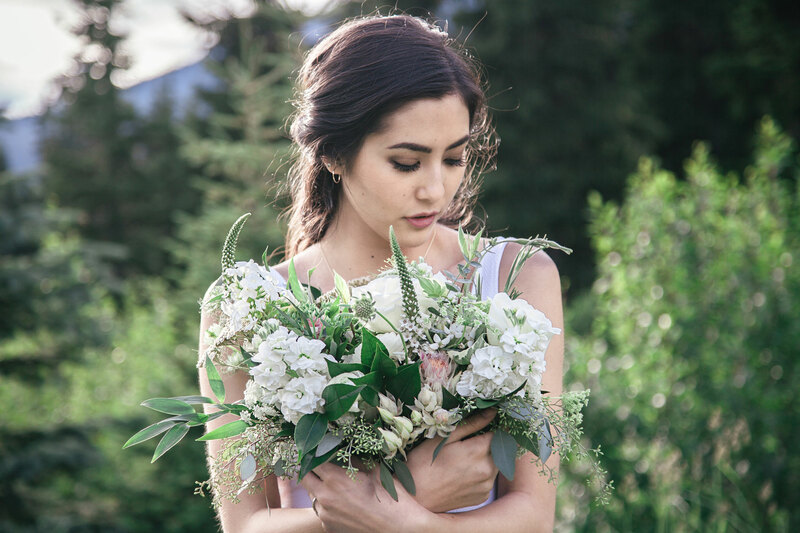 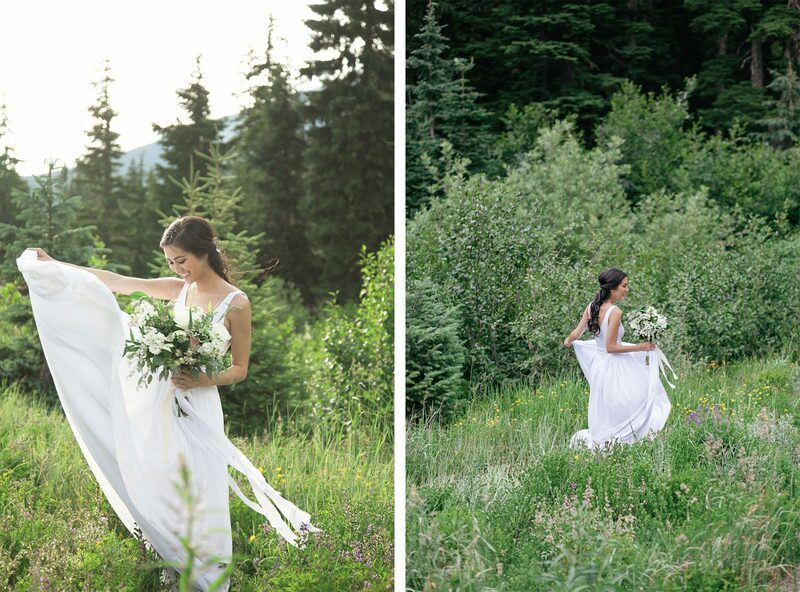 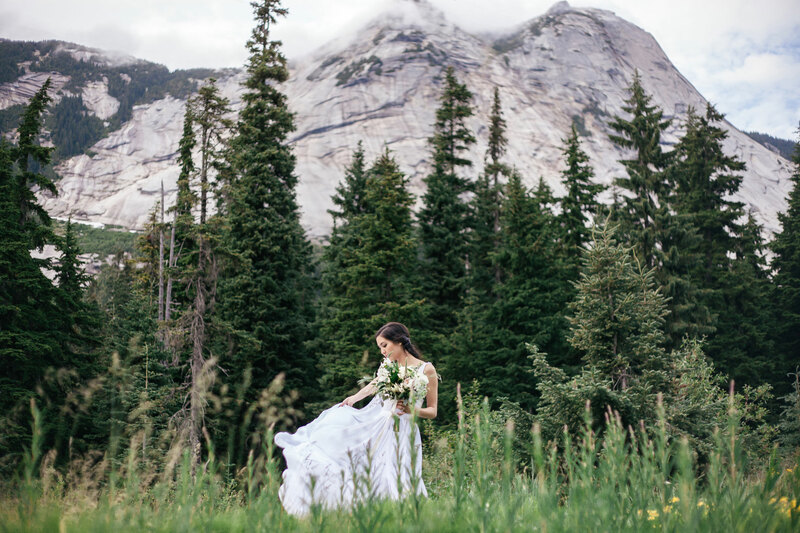 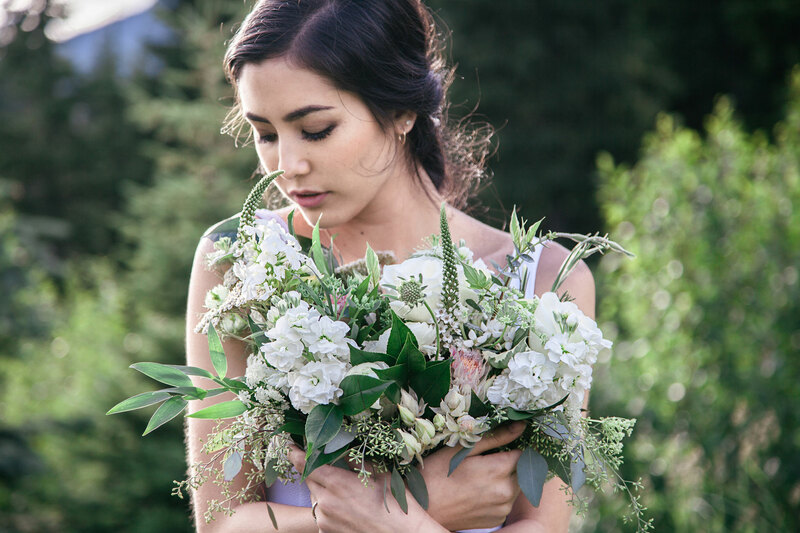 This talented group of wedding pros designed a simple and gorgeous shoot that truly showcases the unfathomable beauty and romanticism that is the Rocky Mountains.